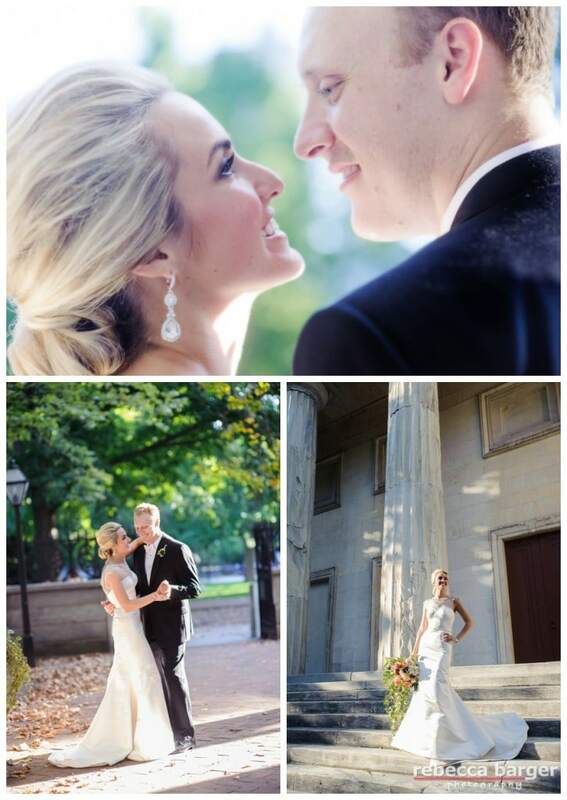 Meghan + Joe enjoy the sunshine outside their wedding reception at the Down Town Club in Philadelphia, Eugenia gown from Nicole Bridal, Jenkintown. 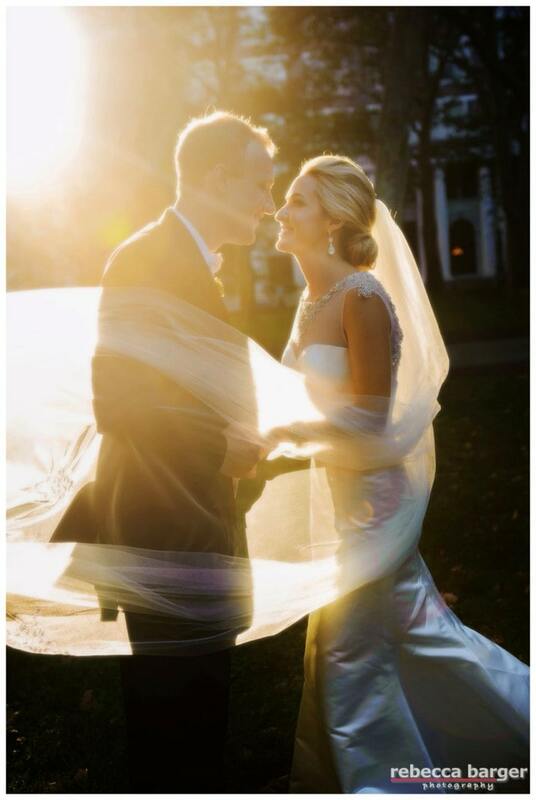 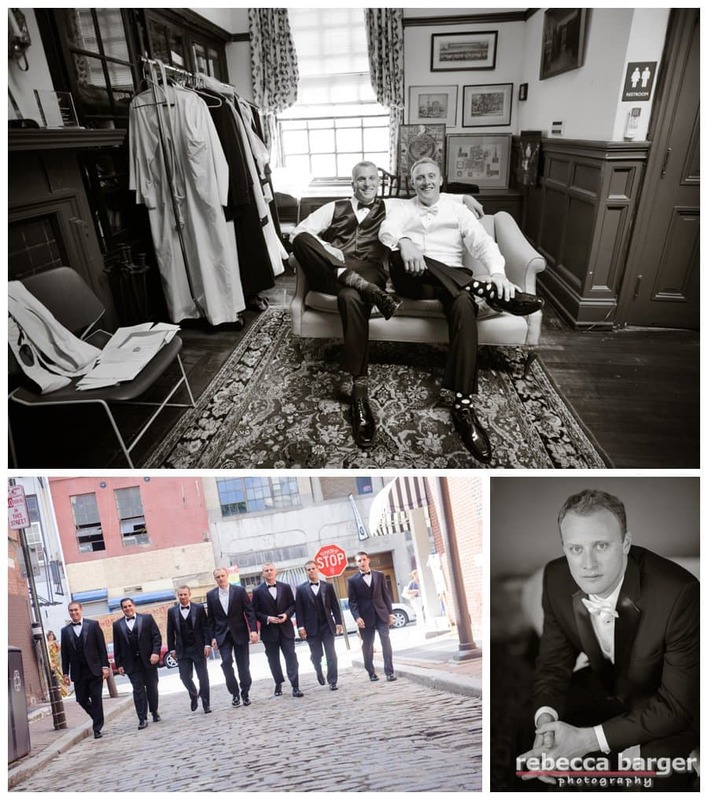 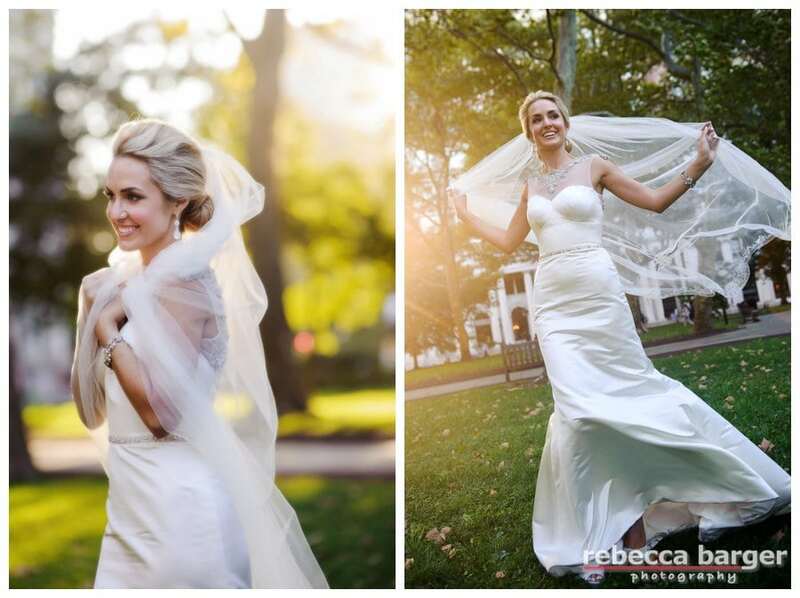 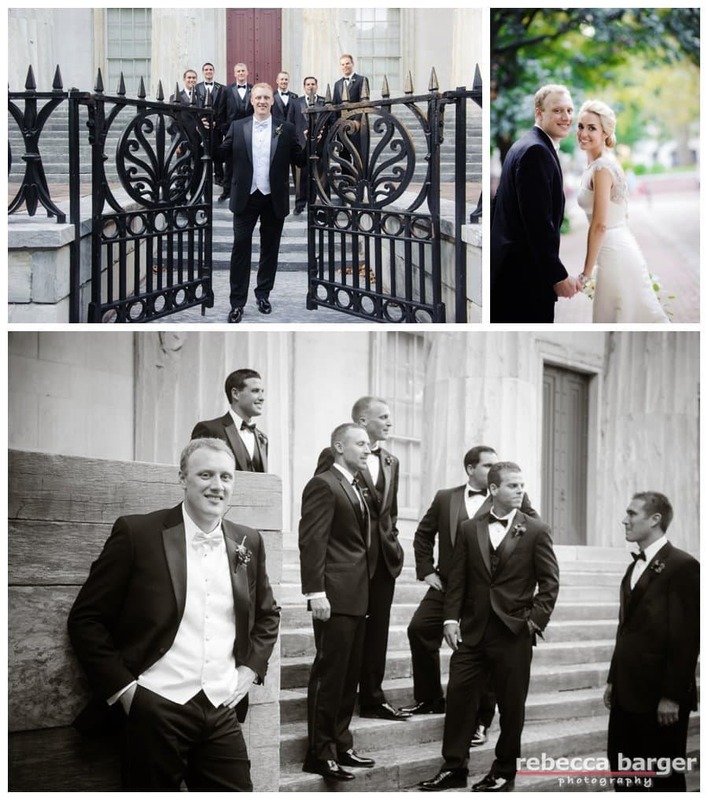 Wedding Day sunshine in Philadelphia, Rebecca Barger Photography, gown from Nicole Bridal. 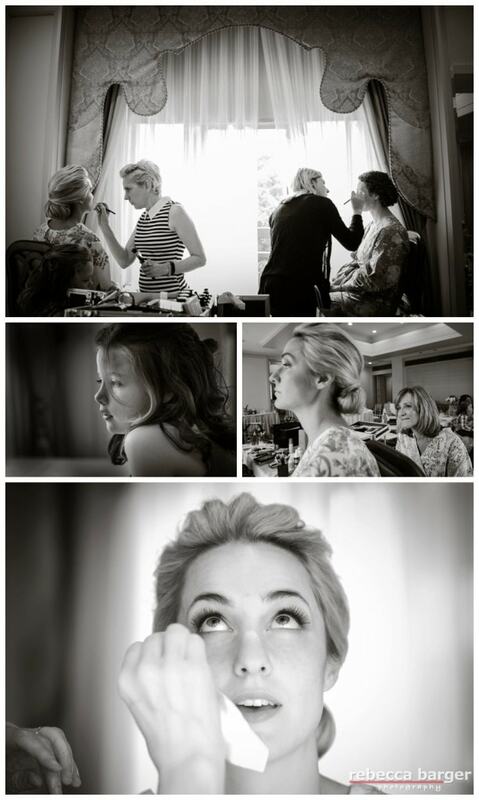 Wedding day cosmetics by Beke Beau, hair by Amanda D’Andrea. 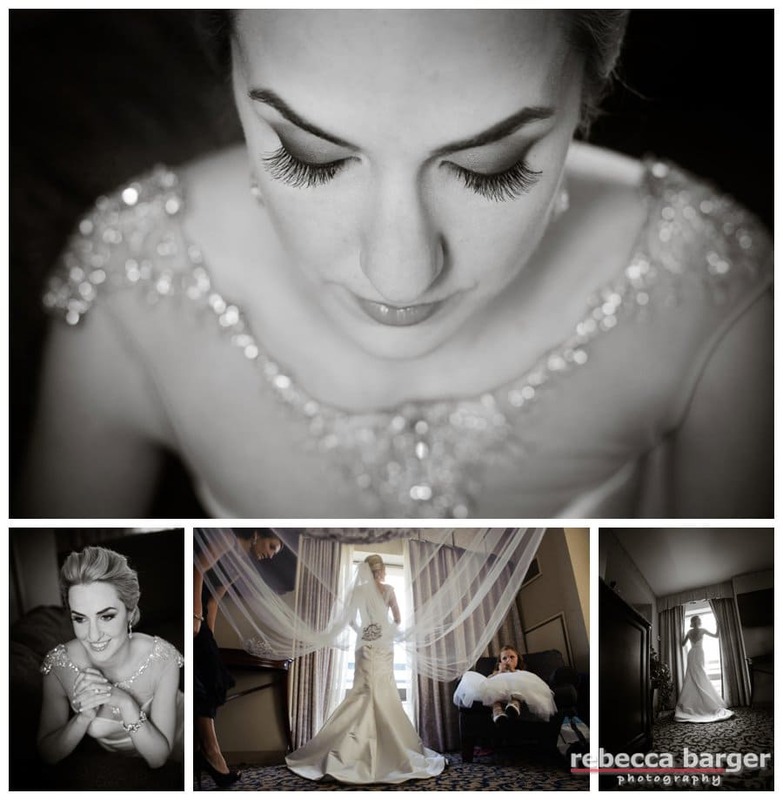 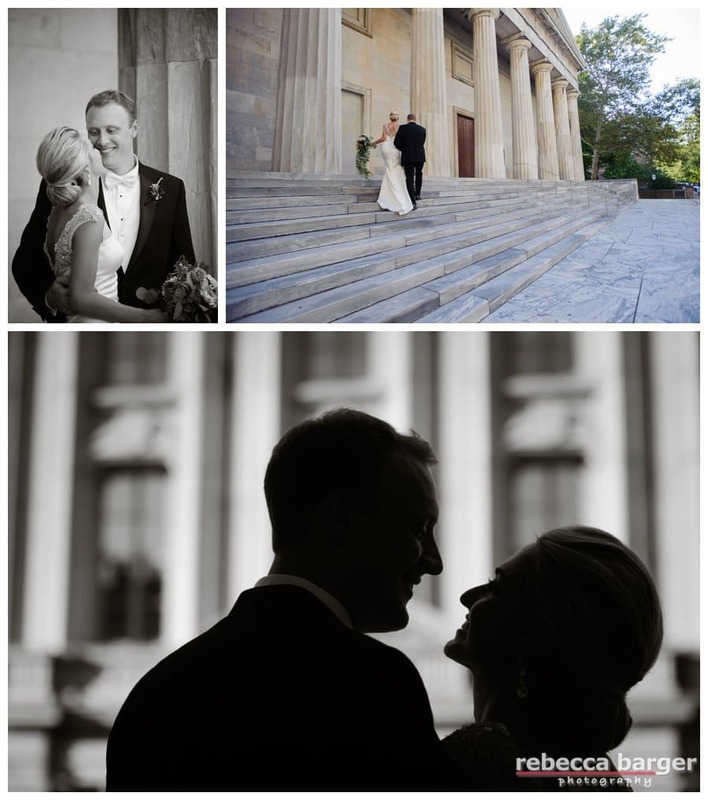 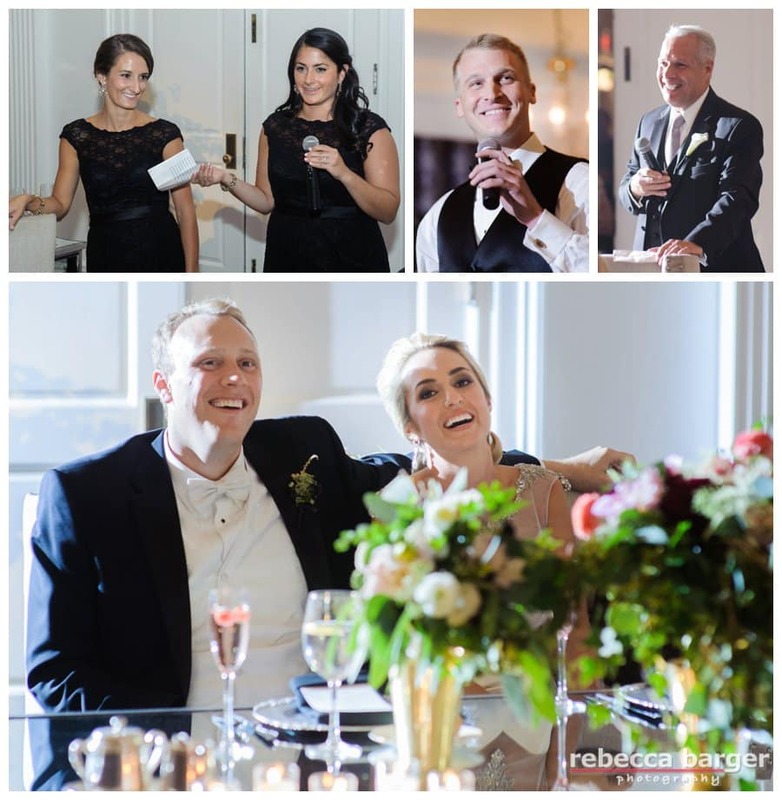 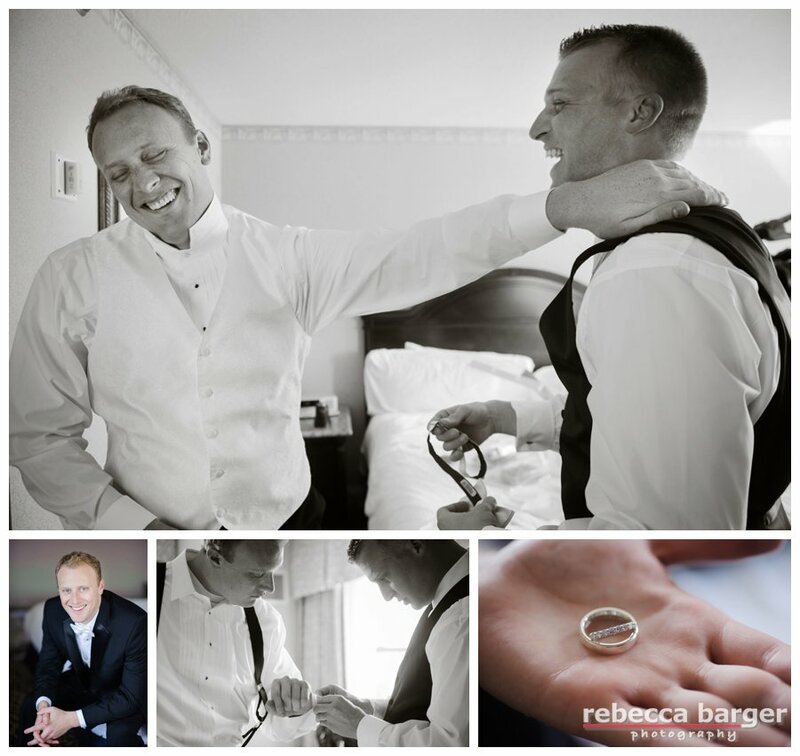 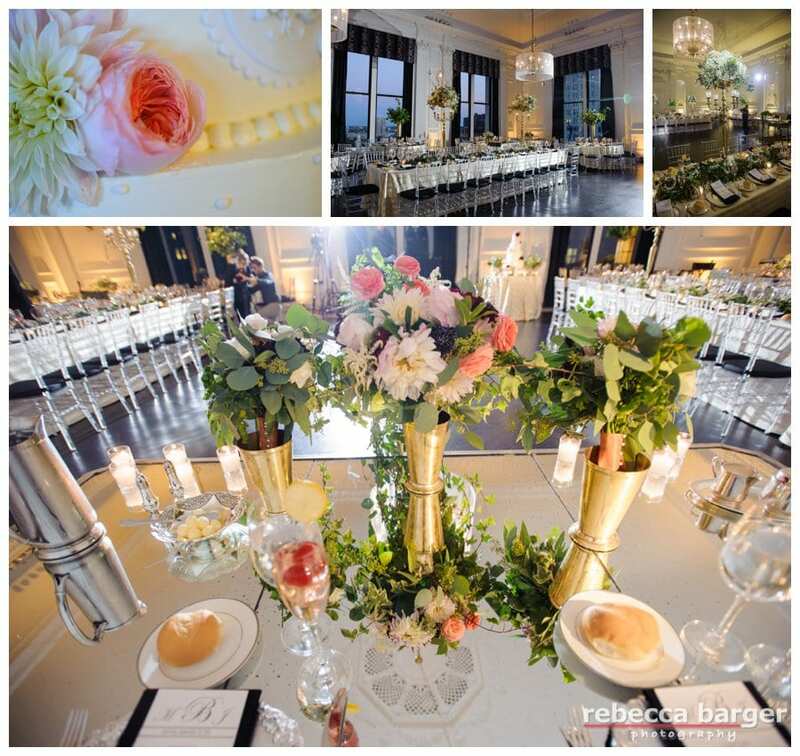 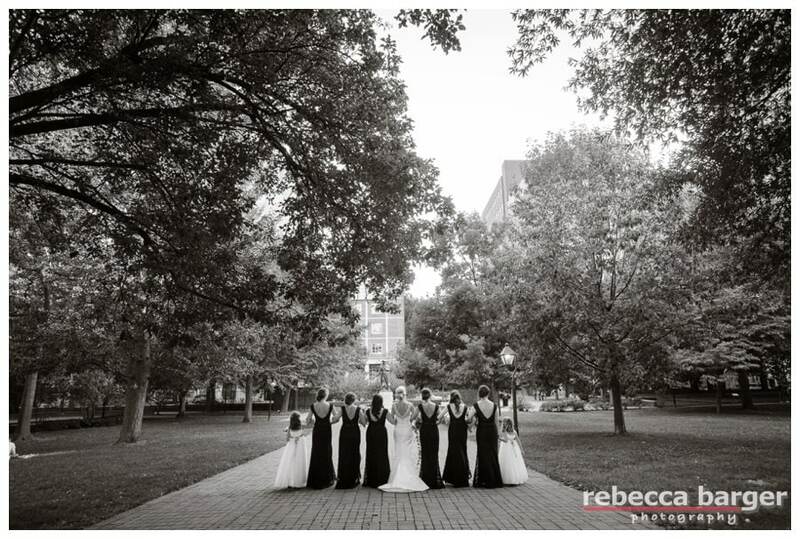 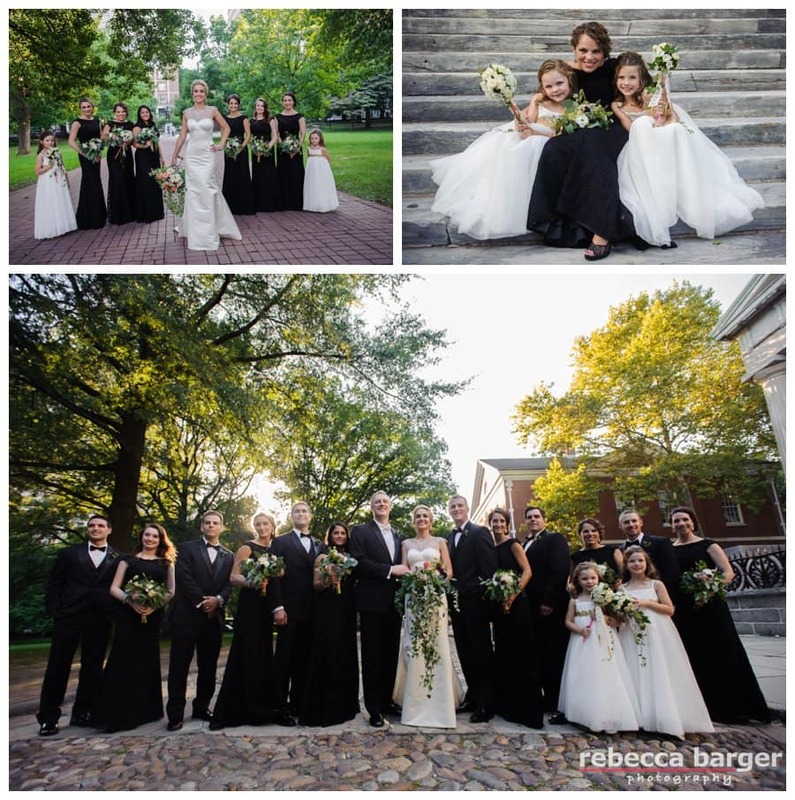 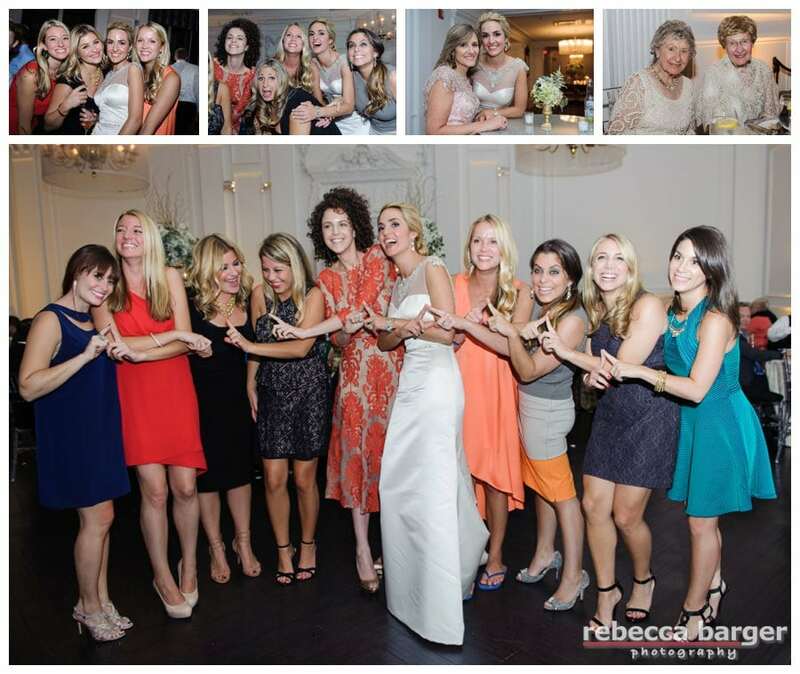 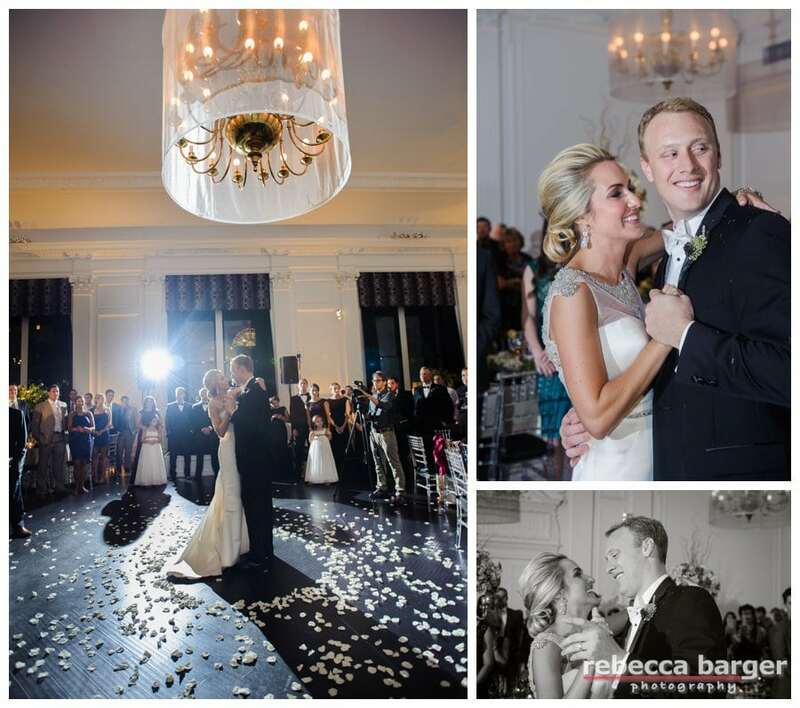 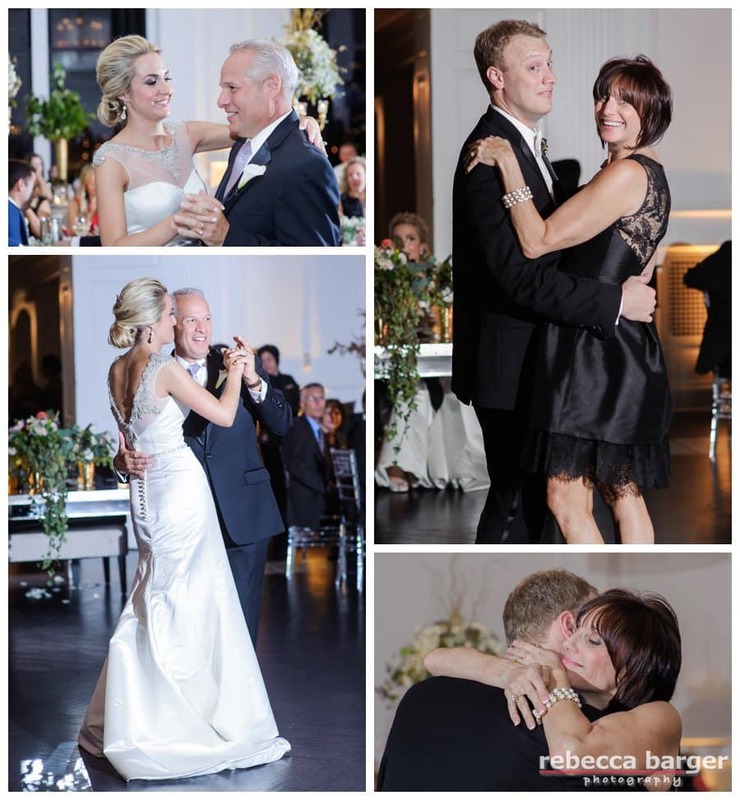 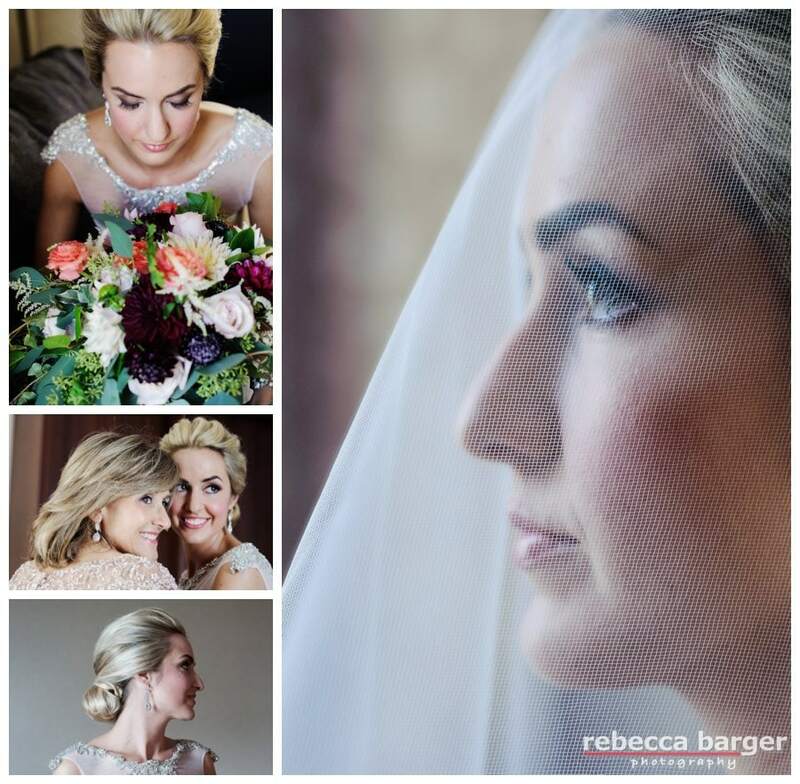 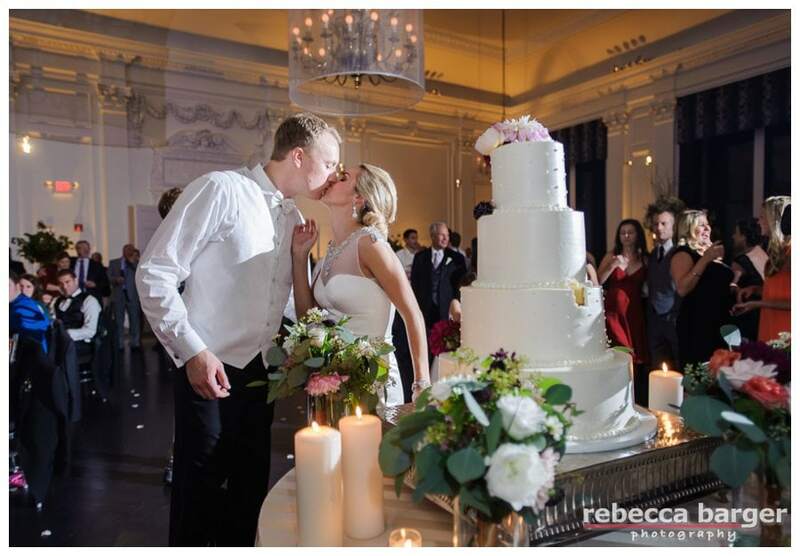 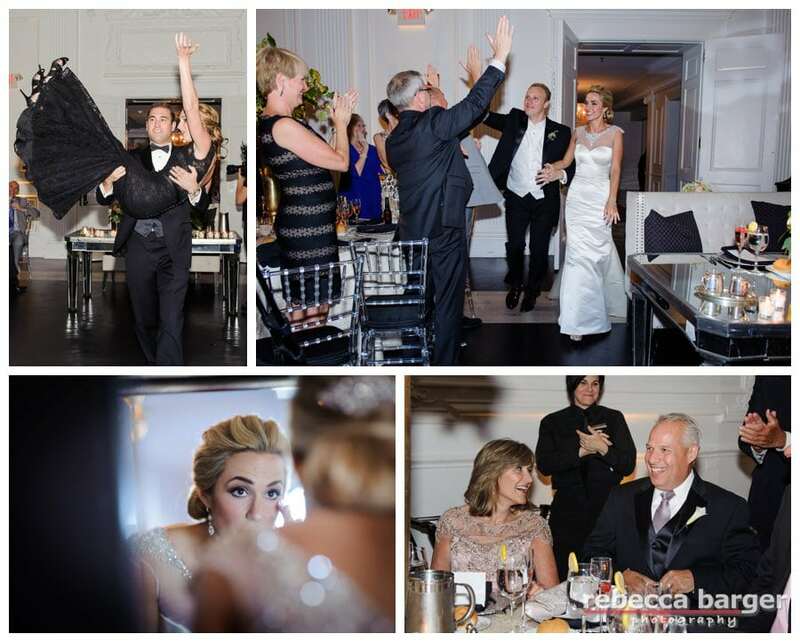 Love this series of wedding day portraits of Meghan by Rebecca Barger Photography, Beke Beau Cosmetics. 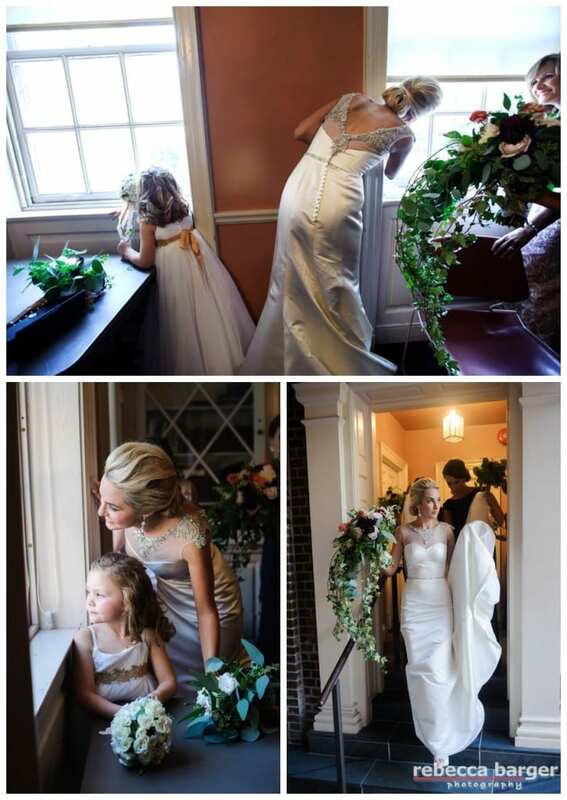 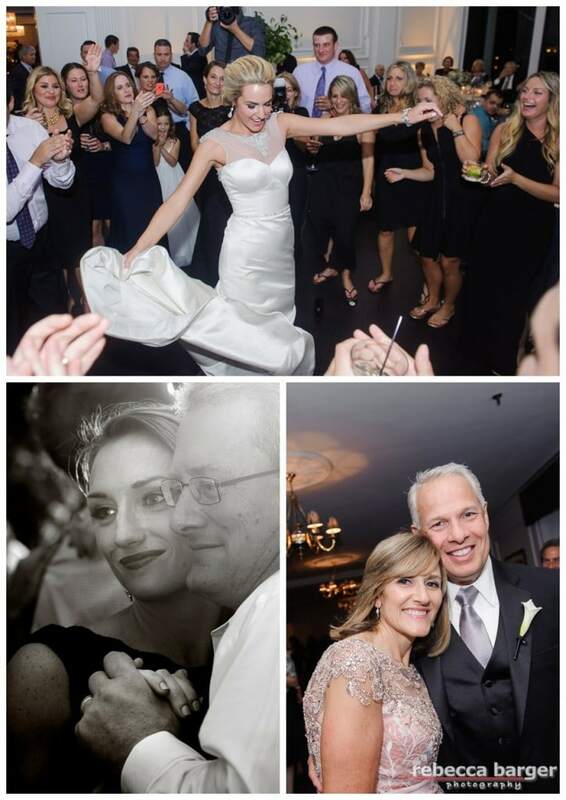 Classic wedding day hair by Amanda D’andrea. 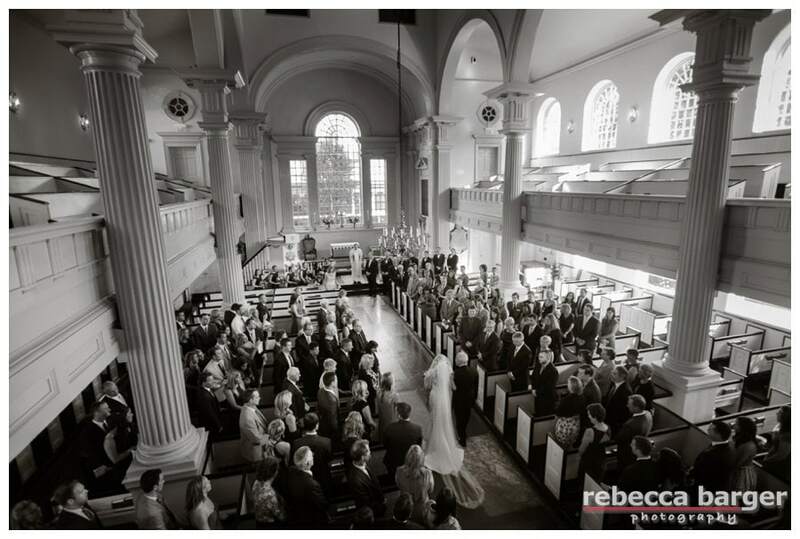 Meghan arrives at Philadelphia’s Christ Church and spies on her guests arriving! 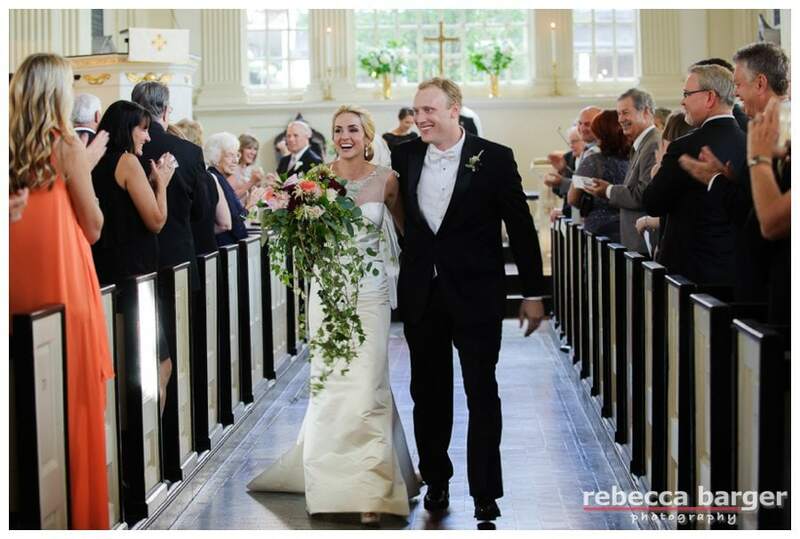 What a beautiful entrance, Mehan escorted by her father, at Christ Church wedding ceremony. 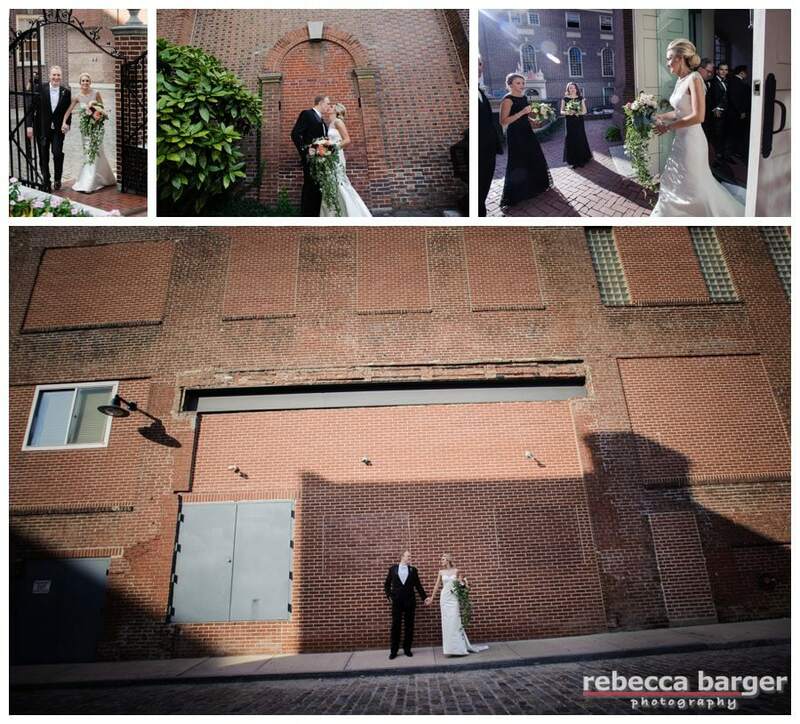 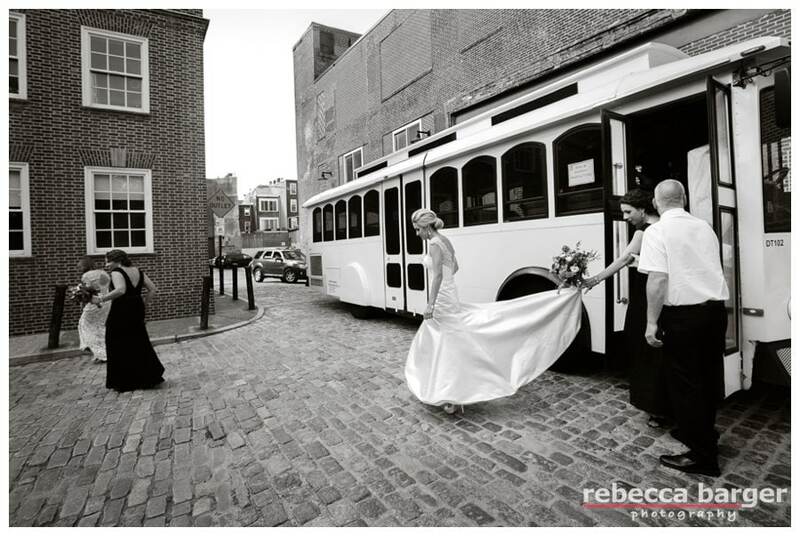 Rebecca Barger Photography with bride in Eugenia gown from Nicole Bridal outside Cescaphe Event Group’s Down Town Club in Philadelphia. 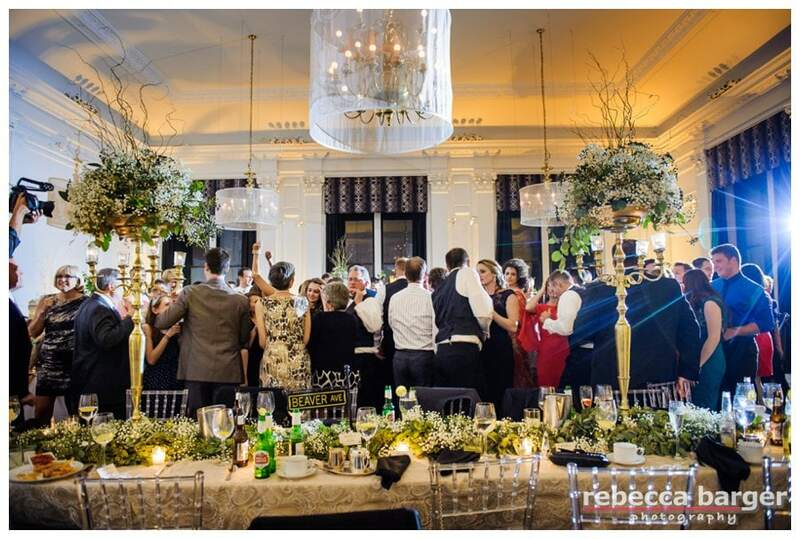 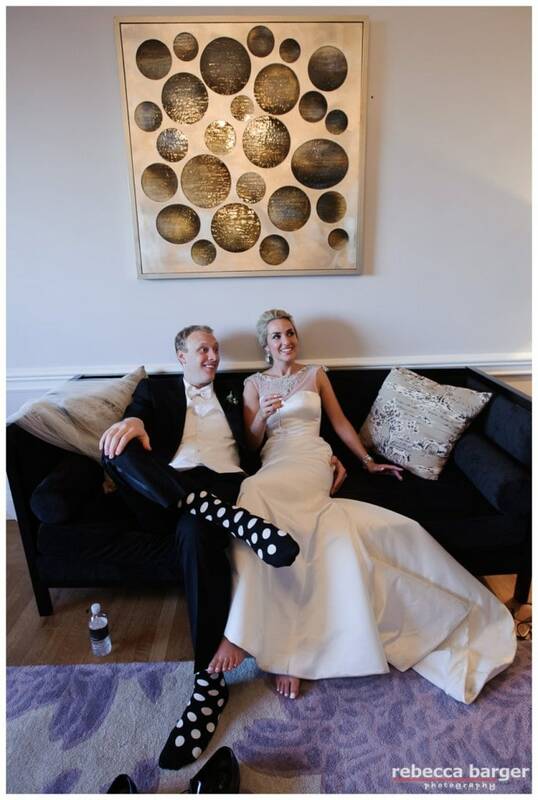 Meghan & Joe relax amongst the polka dots at The Down Town Club, Flowers and decor by Beautiful Blooms. 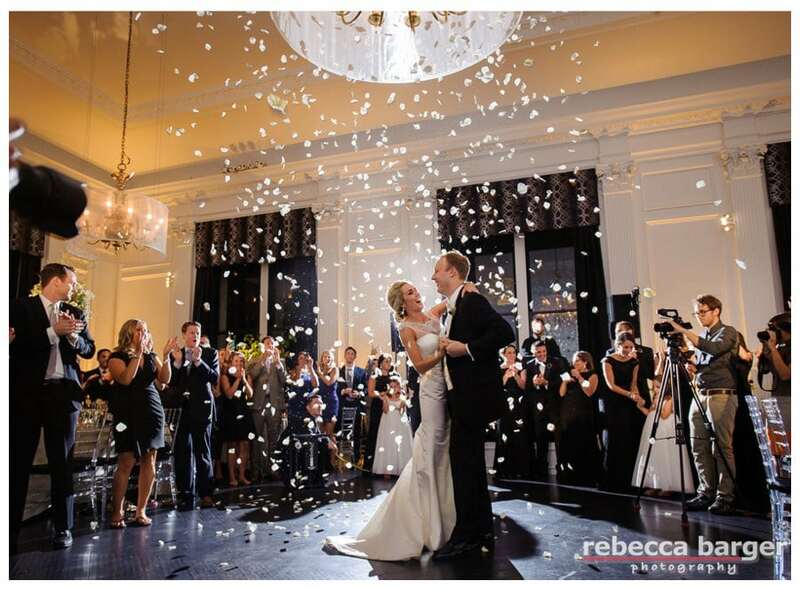 It’s raining rose petals at Cescaphe Event Group’s Downtown Club. 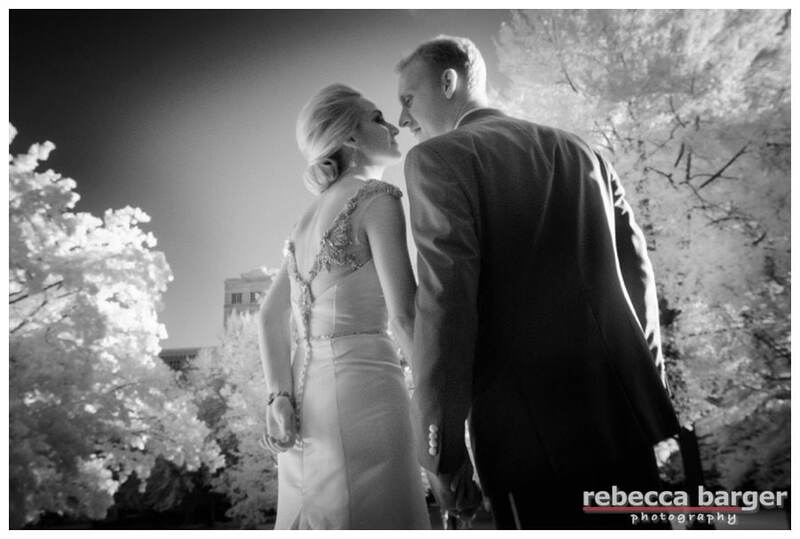 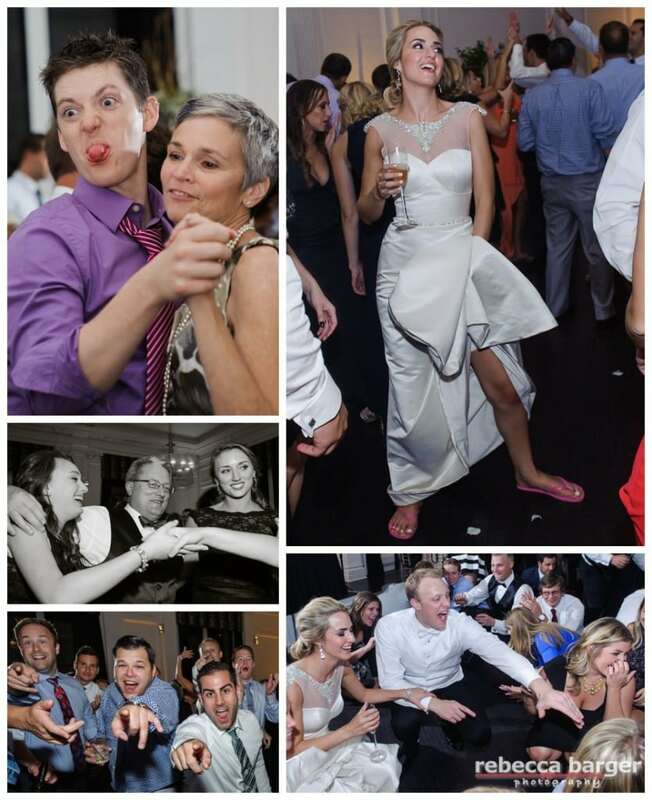 Best Wishes Always, Mehan & Joe!